Ever since irreverent fashion designer Jeremy Scott took over Moschino in 2013, it’s become a wonderland of bright colours, bold graphic prints, and the word “Moschino” in all caps. Scott has featured imagery from video games in his work before, so this collaboration makes basic sense to me. It’s an array of the kind of clothing Scott is known for: there’s a lot of loud prints and novelty clothes, as well as some humour in the way he turns a T-shirt into a classic trench. 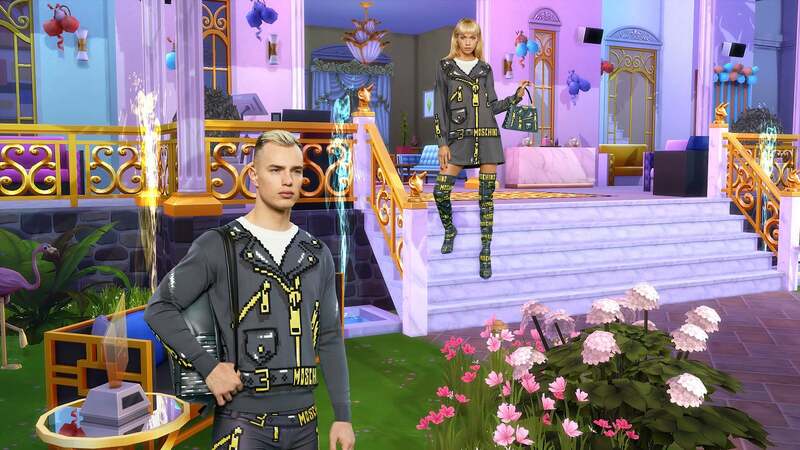 Still, the bizarreness of this photoshoot is par for the course for Moschino, and whimsy has been part of The Sims ever since the first game and its viruses spread by guinea pigs. If you’re eager to get your hands on this collection, it launches online and in stores on April 14. I’m waiting for someone to make custom content from these designs. Let’s see if I can’t make this photoshoot look a little more natural with my Sims. 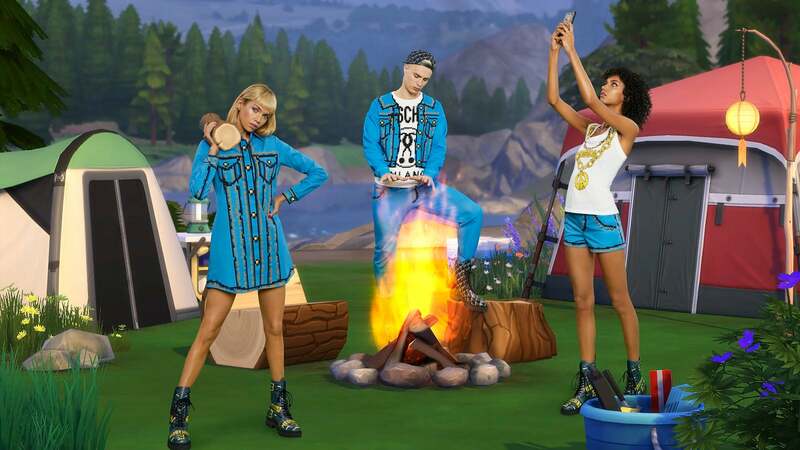 I see how these clothes are generally video game inspired, but I don't see how they're directly Sims inspired. Also, they just look ugly. I thought "that's hideous", then I looked up the other things they've come up with and realised that it's the least hideous thing they've created.